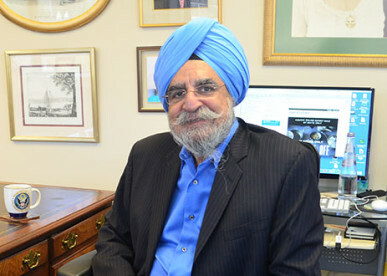 Born in 1945, Harinder Kohli studied Mechanical Engineering at the Punjab University (India) and graduated with high distinction from the Harvard University in 1972, with a Masters in Business Administration.After graduating from Harvard, he joined the World Bank at its Washington DC headquarters as a Young Professional. During his 26-year career at the Bank, he held a series of senior managerial positions involving technical, strategic and country relations responsibilities and worked in over 50 countries in all continents of the world. These positions included leading: the Division responsible for the Bank’s worldwide operations in Chemicals, Fertilizers, Refining and Petrochemicals industries; the Group responsible for formulating and overseeing the Bank’s policy and strategy on Industrial and Financial Sectors Development; and the Information, Technology and Facilities Department – as one of the Bank’s youngest directors. While Mr. Kohli was in this latter position, the Bank created one of the first global corporate communications networks, pioneered the concept of universal access to personal computers for all staff, became the largest corporate user of electronic mail amongst non-technology companies, and built an award winning new headquarters building. In 1990, he went on to become the Director of the Technical Department that housed senior technical experts who advised all Bank borrowers in Europe and the Middle East. In 1993, he became the Director responsible for country strategy and all lending decisions for Maghreb countries and Iran. Between 1994 and 1998, he was Senior Advisor, East Asia and Pacific, when he led the Bank’s work in private participation in infrastructure. Harinder Kohli started the Centennial Group in 1998, a strategic advisory company based in Washington, D.C., specializing in emerging markets. He has been a major shareholder, President and CEO of the parent company since its inception. The group now consists of four companies, including subsidiaries in Asia and Latin America. Its work is focused on: Economic and Political Research; Corporate Strategy for Emerging Markets; Financial Sector, Energy, Infrastructure and Urban Development; and Procurement Systems and Governance Reforms. Its clients include major international corporations, governments, and multilateral and bilateral development institutions. Mr. Kohli is a President and Chief Executive Officer, Centennial Group and Chief Executive, Emerging Markets Forum.